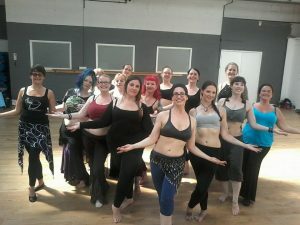 Sabrina held the positions of bellydance instructor at San Diego’s Cuyamaca and Grossmont Colleges, and now offers private group and individual bellydance classes in San Diego. Sabrina has a classical dance foundation in ballet, jazz, and modern dance. She began her dance training in Western Dance Forms and has studied extensively under master instructors such as the legendary Donald McKayle (mentor to Alvin Ailey) and Bernard Johnson, dance star of theater, stage and screen. Sabrina is a published author in bellydance trade magazines including The Chronicles, Zaghareet, The Happenings (MECDA National Trade Magazine), and Jareeda Magazine as well as their Spring 2011 Covergirl. She is a featured bellydance personality in the documentary film Fellowship of the Weird. 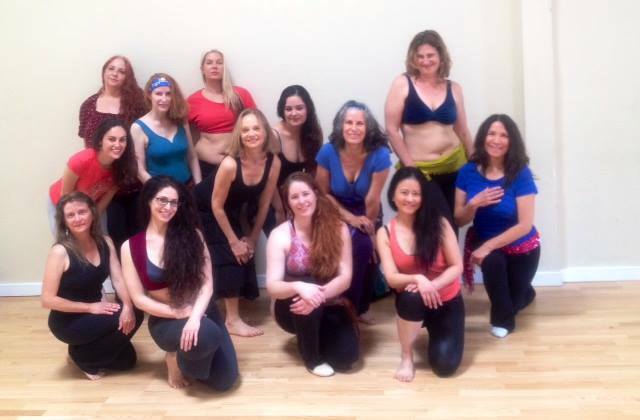 Sabrina has studied Middle Eastern Dance extensively and professionally under the masters Angelika Nemeth, Hallah Moustafa and countless master workshops. She is a founding member of the touring bellydance company Dangerous Beauties Bellydance Fusion Dance Company whose mission is to empower women by presenting stories of important female historical figures through performance art. Sabrina is a featured belly dance performer and instructor on RaqsTV.com, The Flying Carpet TV, and was a member of the Screen Actors Guild (SAG) with a successful string of national tv appearances. She is the author of the international best seller “Energy and Extension for Belly Dancers” training mediation CD and the acclaimed costuming manual “Build A Better Bra” .